Hope your birthday was the very nicest day! HAPPY BIRTHDAY AND MANY MORE!!!!! Oh, my!! Big Jake is amazing. Thanks for posting, Max. Thanks Carol. I will keep an eye on the results. Hope he does well. HARTFORD, Conn. After a horse named Scuppy bit a boy in the face, a Connecticut court came to a conclusion that threw animal lovers: Horses are a naturally vicious species. Horse owners and farmers are mobilizing as the state Supreme Court hears an appeal in the case Tuesday. 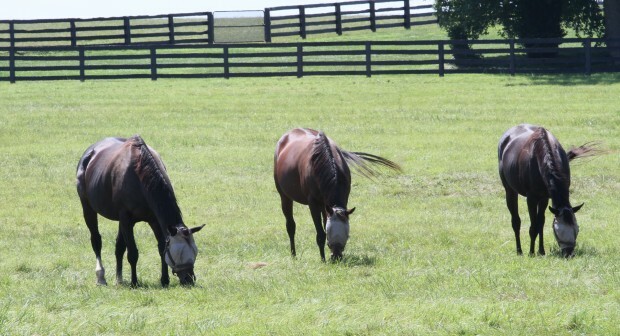 Such a classification – the nation’s first, if it stands – would make owning horses uninsurable and jeopardize the state’s sizable horse industry, farmers and horse owners say. I suppose I will be accused of anarchy, but I believe that judges have too much power. This is a ridiculous opinion that will take some time and money to fix. When you don’t like what is happening, you go judge shopping. What are judges anyway? Just glorified attorneys. This is crazy. Not all horses bite but, some do. So now, they’re going to be treated like pit bulls??? I don’t get it. If the horse doesn’t know you or you don’t know the horse, take time to do so. The little boy shouldn’t have been there in the first place. It was a freak thing that just happened. Agree with you completely, TC. That is why this story which could almost go unnoticed was so important to share. Waiting to see what the Decision will be. Can you imagine if this spreads to other states? Once again, you are absolutely right! This is ridiculous! More litigious crap. Humans are the “naturally vicious species”, IMHO. Yes, have to agree! Also, I’d wonder if those passing judgement had any real experience with horses, to generalize that they are “vicious”, painting with a broad brush? I would say crocodiles are vicious, in general, by nature. I couldn’t say that about horses. Even in my limited experience. Barbara, carol, Sue F, Marshall, Vicki B, and Janet Newman, thanks for your support. Lets all hope bench warrants aren’t issued for us. Boy oh boy, this was in our paper today and the first thing that came into my head is “when are people/parents/adults etc going to take responsibility for these type of events? It is so unfortunate that children get injured by any animal but they shouldn’t be allowed to approach any animal without supervision. They need to be taught what not to do. Our courts in all states are loaded with serious criminal and valid civil cases. This is almost too “out there” to believe that horses are a vicious species!! Don’t know where society is going here but very interested in how this goes in CT. Absolutely ridiculous, but not a surprise. Seems the court system has to make simply stupid decisions to look out for the growing number of stupid people. What happened to common sense and responsible parenting? It is with regret that we announce the retirement of multiple graded stakes winner, Richard’s Kid. Richard’s Kid has been retired due to a slight tendon tear. $ 2,482,259 from 47 starts. It has been a pleasure to have such an incredible gentleman of a horse in our barn. We wish him well in his next career at stud. Plans to be determined at a later date. Richard’s Kid has not been himself for quite some time, losing to horses who wouldn’t have been able to warm him up in his prime. Hope everything goes well for him and his connections from here on. Thank you for the news about Richard’s Kid, he was a great horse, I know he is going to be very happy, I think he was tired….. So, if you are looking for the group. 13Z is one gorgeous colt. My prayers are that he will excel his mother on the track; and afterwards, his father in the breeding shed! So happy she is back with Life Is Sweet!!! Makes my heart happy!!! Horses in his generation – god bless you and mom . I can’t wait to see you on the track . I wanna know. What is the Tapit’s Colts Name? Is Zenyatta Pregnant with War Front? and When is Cozmic One’s First race? sorry for so many questions. but i have loved Zenyatta from the moment i saw her. i have many favorite race horses, but shes my favorite one. Why retire so early when she could go on to possibly winning the Triple Corwn? Z13 is quite big now. What fast growth! doesn’t one think that judges should have better uses for there time than to even hear the case. my question is where were the responsible adults were ? 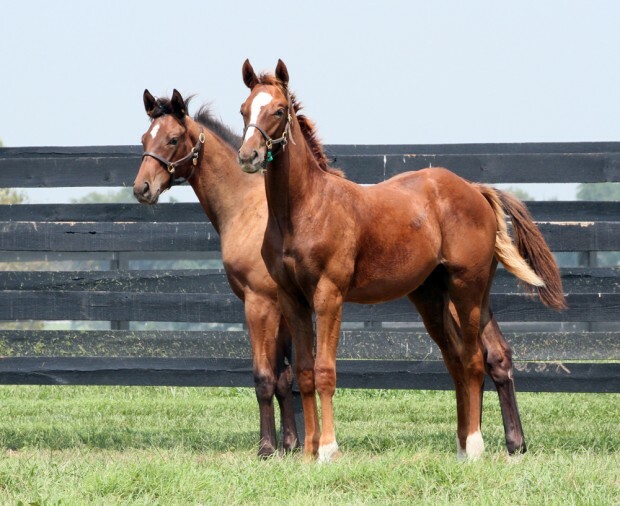 those are real good pictures of every one how about a few more of baby z #2.he’s a great looking colt shaping up beautifully.